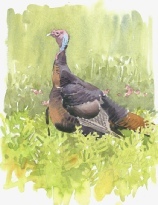 This season, the Fruitlands Museums Giftshop in Harvard, Massachusetts will continue to offer a selection of notecards, limited edition prints and original watercolors by Barry. When you visit Fruitlands, make sure to stop by the Giftshop and see these offerings! Following is a list of Barry’s current or upcoming exhibitions (watch this page for updates). To receive announcements of future exhibitions by mail, send an e-mail to barryvandusen4@gmail.com Be sure to include your full name and mailing address. 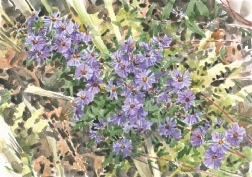 Barry was Artist-in-Residence at Fruitlands during the 2010 season. 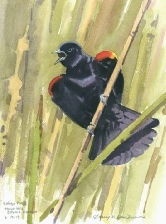 "The chain of Woodson Masters is forged by a common passion for birds and art," Barry said. "I am honored to be a part of it!" The 2014 "Birds in Art" exhibition featured more than 100 original paintings, sculptures, and graphics created by artists from throughout the world. 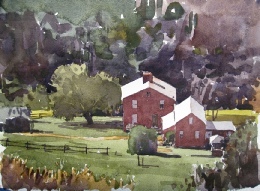 A special “mini-retrospective” of Barry’s paintings was featured at the 2014 show. 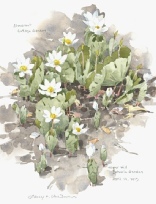 The exhibition's full-color catalogue, with an essay about Van Dusen, is available for purchase at the Woodson Art Museum. 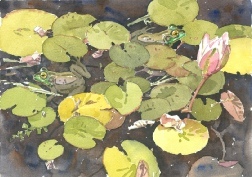 For more information, visit www.lywam.org, e-mail the Museum at museum@lywam.org, or call 715-845-7010. 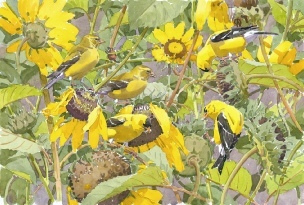 Barry Van Dusen is the Museum of American Bird Art’s latest Artist-in-Residence. Over the last three years, Barry has been traveling across the state, visiting Mass Audubon’s 57 wildlife sanctuaries, chronicling the rich and diverse landscapes, habitats, and wildlife found on Mass Audubon’s properties. You can see his drawings and paintings and read about his travels by checking out the Museum of American Bird Art’s Taking Flight blog. 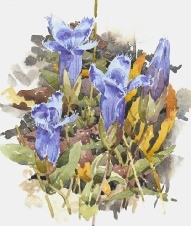 From April 2013 through April 2014, artist Barry Van Dusen visited Tower Hill Botanic Garden 23 times, producing more than 40 watercolor paintings of flowers, birds, insects and landscapes. Barry’s exhibition led visitors through a full year at Tower Hill, and he shared his experiences with diary-style labels that accompanied each painting.